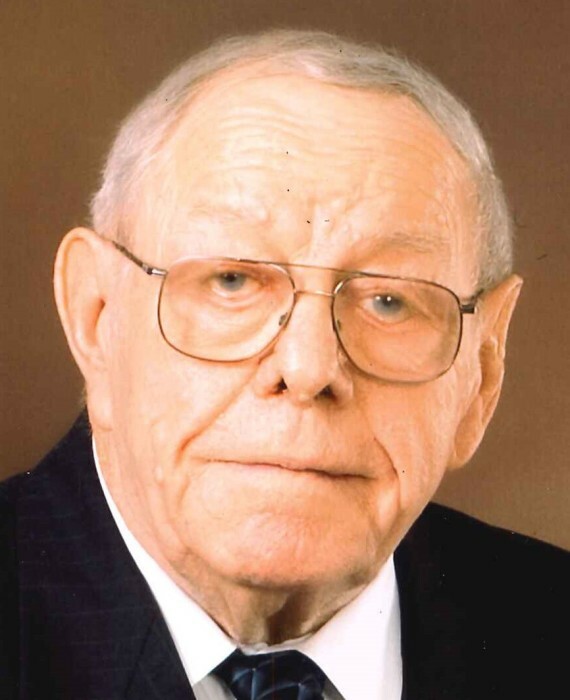 Milo Petzel, age 91 of Arlington passed away Tuesday, January 22, 2019 at North Memorial Medical Center in Robbinsdale. Funeral services will be 11:00 a.m. Saturday, January 26th at St. Paul’s Ev. Lutheran Church in Arlington. Visitation will be 4:00 until 8:00 p.m. Friday at the Kolden Funeral Home in Arlington with visitation continuing one hour prior to service time Saturday at the church. Interment will be in the Arlington Public Cemetery. Milo Karl Walter Petzel was born on May 30, 1927 in Kelso Township, Sibley County to Andy and Louisa (Kroells) Petzel. He was baptized on June 18, 1927 and confirmed on April 6, 1941 at St. John Lutheran Church of New Rome. Milo was a 1945 graduate of Arlington High School. He was a lifelong successful farmer, actively engaging in farming during his working years and in retirement watching and keeping up with the times. Milo was drafted into the U.S. Army on November 19, 1945. He received his basic training at Ft. Leonardwood in Missouri and from New Jersey traveled by ship to France and then by train to Castle, Germany. He was mostly involved in the rebuilding of Germany. Milo married Florence Sickmann on June 28, 1950 at St. Paul’s Lutheran Church. After kidney failure, Milo received weekly dialysis since September, 2007. Since November, 2013 Milo made his home at Golden Hearts Senior Living Center. Being a longtime member of St. Paul’s Lutheran Church, he served on the Counting Committee and was a charter member of St. Paul’s Endowment Committee. Milo loved to farm and enjoyed traveling in retirement. He was an avid Arlington A’s fan and a sports fan in general. Milo is survived by his wife, Florence Petzel; children and grandchildren, Daryl (Paula) Petzel, Curt Petzel (sp. friend Christine Cavanaugh), Kyle (Krista) Petzel, Tim Petzel (fiancé Tamra Braun), Jesse Guerrero and Brianna Guerrero, Marlin (Tammy) Petzel, Tyler (Andrea) Petzel, and Makenzie (Eddie) Putzier, Randy (Judy) Petzel, Ben (Allison) Petzel, Zach Petzel, and Jordan Petzel, Sharon (Steve) Ritter, Andrew Ritter, Jacob Ritter, and Nathan Ritter; 9 great grandchildren; sister, Irene Sickmann; sisters-in-law, Doris Petzel, Berdina Petzel, Lorraine Rucks, Mayona Lind; many nieces and nephews. Milo is preceded in death by his parents, Andy & Louisa Petzel; parents-in-law, Ted & Lizzy Sickmann; son, Craig Petzel; siblings, Earl and LeRoy Petzel and Bernice Grewe; siblings-in-law, Lorenz Grewe, Eldred & Violet Sickmann, Bernard Rucks, Merrill Sickmann, and John Lind.